What does air consist of? How can it be created in an experiment? And does invisible air also need space? 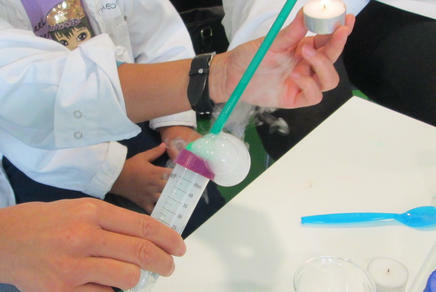 In this course, young visitors will discover the secrets behind the air that surrounds us. Groups with 8 or more people can choose an appointment (subject to availablity). How does fire arise? Which part of a candle does actually burn? And how does a fire-extinguisher work? In this course participants can explore many fire trivia. 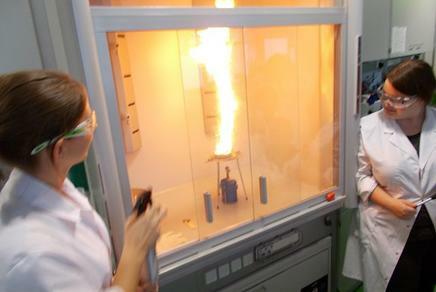 Finally, they build their own fire-extinguisher and test if its working. It is suitable for children age 5 to 7 years. It can be also be booked for age 8 to 10 years as well. We recommend not to mix this two age-groups as we approach them differently. Splash – Surface Tension and More! Water skimmers running on top of the water's surface - do you know how that works? And how is it that soap bubbles become perfectly round? Get the answers to these questions and much more at our enthralling workshop on liquids. What do human cells look like? What about bacterial cells? What are cells made of and what functions do they have? 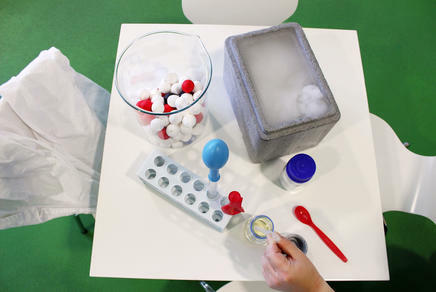 Find the answers to these and more questions and build your own cell model. 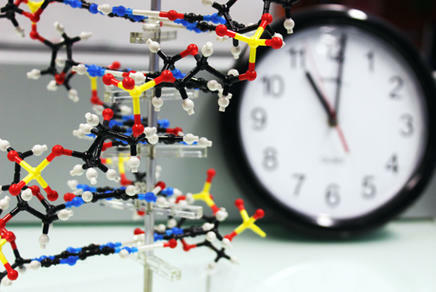 Make DNA visible with a simple experiment! During this workshop you can create a special fridge magnet. This course is suitable for children age 8 to 10 years. It can be also be booked for age 5 to 7 years as well. We recommend not to mix this two age-groups as we approach them differently. What is our soil made up of? Is it just brown? How much water can be absorbed? Can you form a ball from sand? 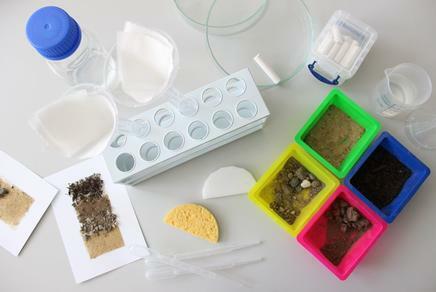 In this course, four different soil samples and their characteristics are investigated. At the end of the course, each participant will make his/her own soil profile. It's spring time. Leaves are growing, there a colourful flowers all over the place - but how does a plant know when to sprout? How does a stem look like under the microscope? How can you make horse chestnut glow? This course is a seasonal special and can only be booked between March 21st to April 30th. What is DNA and where can it be found? Figure it out and isolate DNA from fruit and vegetables. Explore the genetic code and decipher a secret message! Did you know that milk contains sugar? This is the reason why some people and most cats can not drink regular milk. In this workshop, you will remove that sugar with the help of an enzyme also found in human cells. Observe green, small, thin, round or small models. Not on the catwalk, but under the microscope. Investigate worms, flies, bacteria, yeast and tetrahymena and find out about their lives and their secrets! In chemistry, matter matters. Everything in our environment is made out of it. 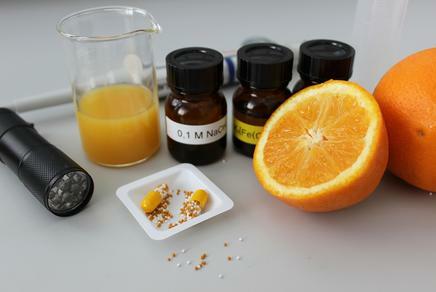 In this course, you will Investigate unknown substances and identify them based on their characteristics. With this training, you can bring order into the big mishmash. The task is to separate a mixture of five substances. However, only the correct separation procedure – performed in the right order – will succeed. At DNA studio, you will isolate DNA from cheek cells (which are found in saliva). You will also stain your cheek cells and examine them under the microscope. Did you ever wonder if freshly squeezed oranges really contain more vitamin C than a carton juice? Or do vitamin pills really include the substances as promised on the packaging? 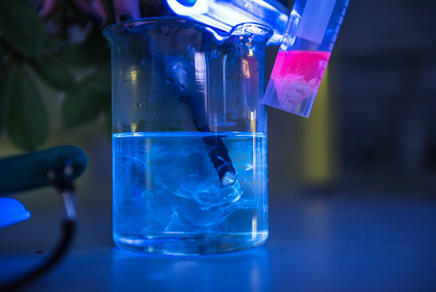 You will shake and titrate different vitamin ‘cocktails’ and even use UV light to detect vitamin B1, B2 and C. So this course does not only cover your daily requirement of vitamin knowledge, it will also provide insights into analytical methods used in the lab. This workshop revolves around polymerase chain reaction (PCR), one of the most important techniques used in modern molecular biology labs - its developers even earned a Nobel Prize! PCR is applied at DNA paternity tests, in order to diagnose diseases and has many more applications. 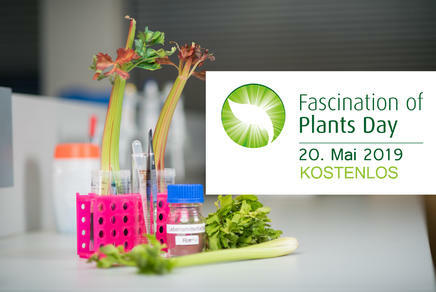 Learn about different applications of this method and copy a plant gene by yourself! What are plasmids and how are they used for genetic engineering? At the end of this workshop, you will be able to answer these questions. 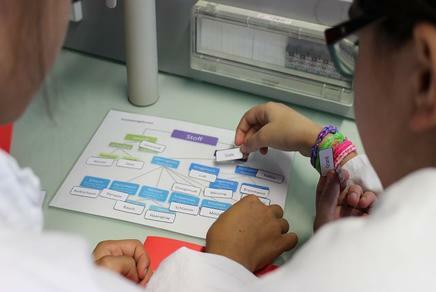 Work with molecular scissors to cut DNA and analyze the results using gel electrophoresis! How do stimulating substances like caffeine affect the human body? 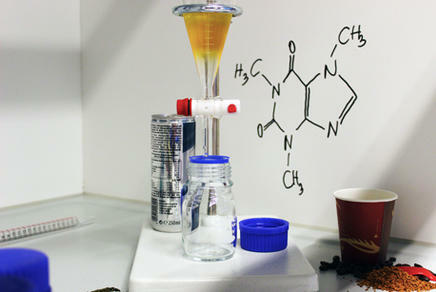 What is caffeine chemically speaking? Where and in what quantities may it be present in food? In this course, you get to the bottom of the matter and take a closer look at the contents of energy drink, tea and coffee bean. Just like in a real analytical lab, you extract caffeine from food samples, produce your own caffeine standard series, and determine the caffeine content of your sample in the UV / VIS photometer. In this workshop the participants assume the role of a Federal Food Testing Agent trying to detect genetic modifications in food. 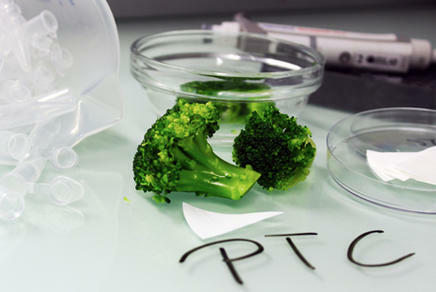 In order to do so, DNA from different food samples will be isolated and analyzed via PCR. Vegan meat, liquid meat, and cheese alternatives, falsely declared fish and meats fill the headlines with grocery scandals. Official food inspection agencies have their hands full with guaranteeing the correct labelling and safety of food. This course describes the various possibilities for food inspection and shows how animal components can be detected in meat and milk products. A good night's sleep recovers body and mind - that's why most people spend about a third of their lifetime sleeping. But, exactly how much sleep do you need? What time in the evening will you likely be tired? This workshop includes restriction digest, PCR and gel electrophoresis. Act like a forensic scientist! You will be generating a genetic fingerprint out of DNA traces found at the site of a spectacular theft crime. Use DNA from different suspects to do so, employing polymerase chain reaction and gene chip analysis. In the end, it will be up to you to compare the suspects' DNA patterns with the DNA traces found at the crime scene and identify the criminal. In Western civilizations, allergies have increased dramatically during the past decade: One out of five persons is allergic to certain foods or food ingredients. But what does suffering from allergy mean? What happens inside the body during an allergic shock? This workshop investigates the human immune system and the complex and interrelated processes controlling it. 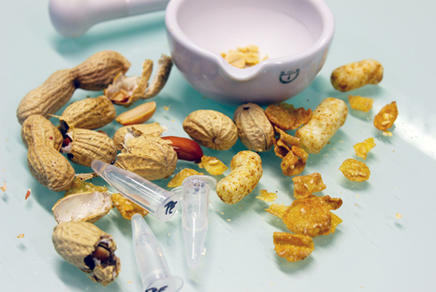 Detect traces of highly allergenic peanut-proteins in different foods! Isolate and analyze DNA employing PCR and gel electrophoresis! Find out why some people enjoy broccoli, while others can't stand it! 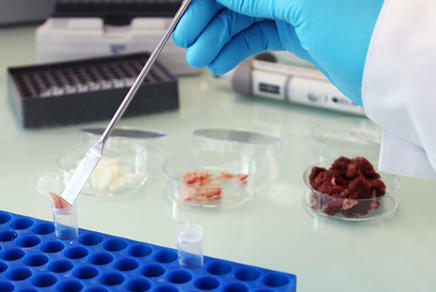 During this workshop, you will investigate a human taste receptor gene for tasting certain bitter substances. Due to variation - in other words, a single nucleotide difference - some people are unable to taste phenylthiourea (also called PTC). Participants will score their own genotype and try to predict their tasting ability. Class results will show how well PTC tasting fits classical Mendelian genetics, and illustrate the modern concept of pharmacogenetics - where comparable genotypes are used to predict drug response.